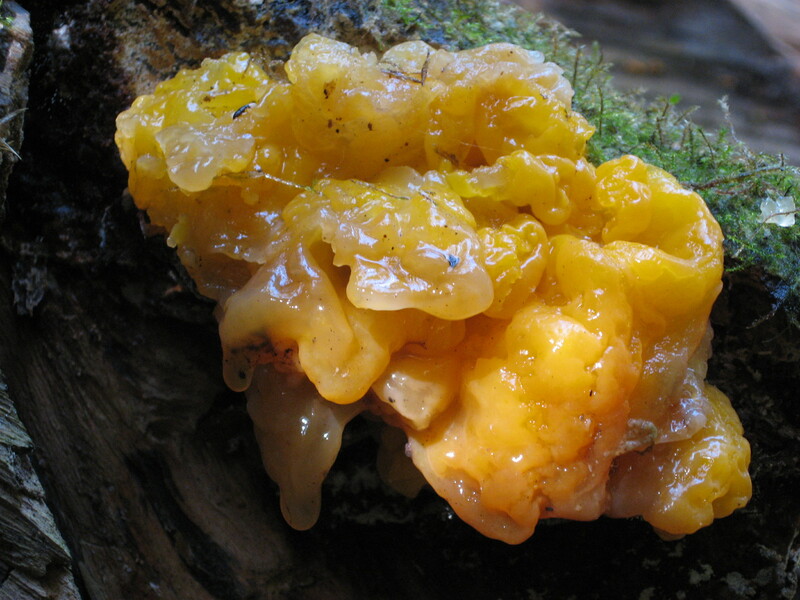 Gallery | This entry was posted in Fungi & Slime Molds, My Back Yard and tagged Blob, Dacrymyces, Fungi, Fungus, Jelly, Orange, Orange Jelly Fungus, Palmatus, Slimey. Bookmark the permalink. I’ve seen this (or something very much like it) many times around here, usually in an area that has been involved with fire. Never seen this … is this a local fungi? Very cool. I am in Portland, OR and have three 25′ incense cedar trees that are covered with it right now in globs about the size of a nickel to a quarter. I am also finding some about the size you discribe this time of year. The one in this photo is much larger, but I belive the photo was taken in late fall. I live about 50 miles from Portland.